If you've ever considered uploading your work to Unsplash, you should probably watch these two videos, or at the very least, familiarize yourself with the points raised by legendary commercial and editorial photographer, Zack Arias. If nothing else, Arias wants photographers to understand the risk of facing a lawsuit as a result of uploading their images to the site. Among a wide variety of topics covered, perhaps Arias's most important point is the lack of model releases when images are downloaded from Unsplash and used for commercial purposes. Arias consults attorney Carolyn Wright who agrees, advising that photographers should "proceed with caution" when uploading their work to Unsplash as photographers "may find themselves in a lawsuit for a variety of reasons." Let me make this as clear as possible. If a photograph is used in a commercial sense and it is not model released, you as the photographer are liable. you can be taken to court and sued. It's that simple. Trademarks are also of massive concern, especially, as Arias points out, that giant corporations have a reputation for hiring lawyers in response to even the most innocuous uses of their trademarks and logos. Many photographers uploading work to Unsplash simply do not realize that model releases are required. The situation in Europe is about to become even more complex (and perhaps entail even greater liability for photographers) as a result of the new General Data Protection Regulation that will be coming into force later this year. After spending a few weeks seething about the new phenomenon of photographers giving their work away via new online platforms, Arias reached out to Unsplash founder, Mikael Cho. In the first of Arias's two videos, he raises several significant points with Cho, and, in the second, he reflects on the situation after having given it further thought. Arias is almost apoplectic at 24:35 when he discovers that one Unsplash contributor is celebrating the fact that Condé Nast has used an image of hers on the cover of an insert for a bridal magazine, without, of course, any form of remuneration, but also without even a credit. Arias is skeptical about the number of photographers who are actually benefiting from using Unsplash, despite the editorial coverage given on major photography news websites detailing the success stories. 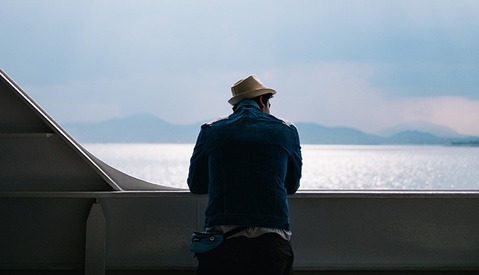 Unsplash makes a deliberate effort to keep its users informed about how many views their images are receiving, tapping into vanity and dopamine hits but with statistics that seem to blow the likes of Instagram out of the water. 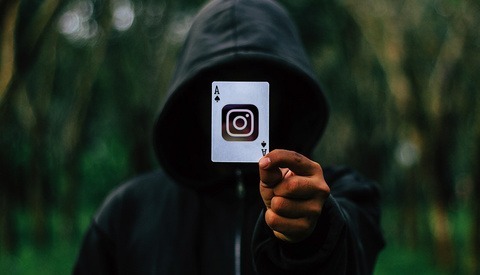 "No other social network can give you those numbers," says alleged success story Samuel Zeller, forgetting that Unsplash is not a social network, but instead the least generous microstock agency to date. Unsplash's statistics are bundled with inspirational words about being part of a community, and this is another area that inflames Arias's rage - "these warm fuzzy feelings of contributing and giving back and inspiring others." When multi-billion dollar multinationals are using photographers' work for free, it's anything but charity. It remains to be seen whether Unsplash will survive given that it currently has no means of creating a revenue and has operating costs of $20,000 per month. Arias fears that the next step will be to ask Unsplash users to pay a subscription fee to have their work featured on the site. 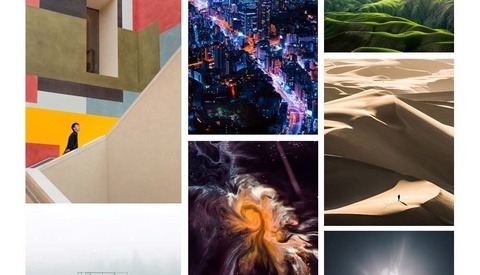 Unsplash says that it is a "platform fueled by a community that has generously gifted hundreds of thousands of their own photos." Others would argue that it is a speculative platform driven by aspiring amateur photographers who are trying to find a shortcut to success, seeking a foot in the door in an industry that is continuing to have its heart ripped out by tech start-ups spending someone else's money and with no interest in the photographic industry. Bit of an eye-opener for me I didn't even think about those aspects. I've since decided not to upload any images to Unsplash. I agree with Zack. "When multi-billion dollar multinationals are using photographers' work for free, it's anything but charity." It only works if people upload to it en masse. If people don't give there work away the industry can't take advantage of them. In most cases, if an individual think he can take advantage of a situation by playing against his community, he will :/ Otherwise we wouldn't have people working illegaly. To add on that, I think togs uploading on Unsplash are mostly just ignorant of the harm they do, and unsplash knows that. Before I was a photographer and working in the web industry; I didn't have an ounce of respect for photography and photographers, so those kind of websites were a benediction when you needed some pictures. In the whole web industry, absolutely nobody even think of paying a photographer. NEVER. There already never were a status quo, even without those sites, stock images and image stealing is already hurting the profession. I swear photographers can be a stupid bunch. Only profession on Earth I can think of where so-called "professionals" are crawling all over each other to devalue their work. I also can't think of any other profession where so "buyers" or "clients" have so much power and influence in dictating the price. I can't imagine the owner of a BMW dealership caving to some dork who threatens to go buy a Honda if he can't get a better deal. And yet every day, more and more photographers are racing to the bottom and caving into clients looking to squeeze every drop out of them. There needs to be a distinction made between professional photographers who make photographs for money and talented people who make photographs and then give them away. No matter how hard you try you are never going to stop the second group from doing what they are doing because they do it for fun. They don't care about the money. That is irrelevant. The reward is in the accolades. I admire Zack and he is one of the few photographers who's opinion I value the most, but he is on a hiding to nothing here. People who don't rely on photography for their income will not care and will not change the way they distribute their photographs. That's just the way it is. You can choose to be bent out of shape about this, or you can move on and make the reason why people employ you to create photographs for them compelling enough to not give a hoot about Unsplash. Do you NOT realise that there is more to this than someone giving away their work? Some of them are giving away what is NOT theirs to give, and they don't even know it! They are setting themselves up for MASSIVE lawsuits which they cannot afford! …And they are indemnifying Unsplash! It all falls on them! *Still* not my problem. I am not lying awake at night worried about what Unsplash or Instagram or any other photography enterprise is doing. Neither should any other professional photographer worth calling on to create an image for somebody else for money. I'll say it again: it's not worth getting high blood pressure over. Stop worrying about what others are doing. Do what you do. However, I do find a dark irony in this situation; you have guys like Zack Arias and many others making money out of teaching people how to take great photos, but then complaining when those that they have taught decide not to follow the traditional processes of dispensing their work. Is this a double standard? Dallas you seem to have missed one of Zacks salient points. Unsplash is licencing images for commercial work without ensuring the images are properly released. Its a lawsuit waiting to happen. Its a lawsuit that is going to happen. Zack is trying to stop other photographers from getting into serious trouble. Yes: this is still "not your problem." But unlike you some of us do care about other people in this industry. Even the "talented people who make photographs and give them away." Because its those talented people who are going to end up at the end of a lawsuit. It is not my problem that Chase bank got robbed yesterday. It is not my problem that a neighbour died doing drugs. It is not my problem that my niece's best friend was killed by a drunk driver. I am still telling people not to rob banks, not to do drugs, not to drink and drive, and not to upload images all willy nilly to Unsplash. Why? Because I care about other people's problems. No, I do not worry and I do not get hypertension, but I do get involved. That is me doing me. Well good for you, but Zack is clearly letting this eat away at him given the amount of effort he has expended on this rant. What makes you think it is “eating away at him”? He is passionate to protect other people. Let him be him, you be you, and me be me. Don't judge other people. We all know that you decided that this is not your problem. Let those of us who realise that there does exist A problem, which may affect SOME people, do what we do. You be you. …But for a man who doesn't have a problem, you sure seem to want to get involved with the discussion. Did you actually watch the video? He even tells us how much angst it is causing him. Everybody judges. If you have discovered a way of not judging I'd love to hear it. Honestly. Let me be honest; [EDIT] Originally,I only watched up to 36 minutes. At that point I thought I had enough of him hammering certain points home. Since I was NOT his main audience at that point in time, I stopped listening. Since then, I went and watched it all. No mention of any angst. [/EDIT] So, since you said he tells us “how much angst it is causing him,” how about giving us an approximate timeline to support your assertions that it is “eating away at him”. I'll go watch it and see. As far as judging, what I meant to say, and clearly did not, but I thought was implied through context, was do not judge based on presumptions, but only on facts. I judge all the time. Someone says that Pentax does not have adequate lenses, I judge them as ill-informed because the facts says otherwise; but I do not judge them as absolute moronic imbeciles who would not know a Holy Trinity if it fell on their head and announced themselves with trumpets and an angelic choir. I think you need to go out and take some photos. We're done with this discussion. Zack probably actually began the end of Unsplash. Mark my words, they will announce a change in the terms of service to cover their asses with the legal liabilities. They will also change the downloading function so you have to acknowledge that you may be taking a risk by using the photo, and that you'll have to reach out to the photographer for the model releases, etc. Then, they will transition into a standard stock photography site with some kind of freemium model, or try to be the next 500px or Flickr. So if I downloaded an image today without having to agree to anything and used it on a website, how can the license terms of my using that image be changed without notifying me? It can't. I was given permission. I am in possession of the image. Also, bear in mind that there is no one global law covering all use of an image. Regional applications will apply. Either way, the model will change going forward. All they need is a simple umbrella statement like "by downloading this image, you acknowledge you are responsible for following the laws in your region and obtaining model/property releases and blah blah blah." More precisely, Unsplash grants you an irrevocable, nonexclusive copyright license to download, copy, modify, distribute, perform, and use photos from Unsplash for free, including for commercial purposes, without permission from or attributing the photographer or Unsplash. This is not gonna last. You can't grant a licence to use someone elses image commercially without that persons permission. Well actually you can: and obviously Unsplash is doing just that. Just don't expect that licence to hold up if the matter goes to court. One thing that I sorta realized from watching this video is vloggers could get in trouble in Europe just by posting videos. Lets say someone like Jon Olson posts a video of them walking around people. Without the model releases for every person in the video they could be open to a lawsuit. At least that is my understanding of that. I think the issue is more about when the person's image is being used commercially, not editorially, so vloggers don't have to be worried about getting releases. nope,.key here is privacy. portrait law is something else. if you take my picture when i enter a se x shop thats invasion of my privacy. even when you didnt mean to take my picture. selling that picture you go into portrait law etc,. and there is this difference between being a private person or a business when you take that picture,. Some of the vloggers are a business though. The laws for what you can actually sue someone for are most likely different but it could be possible that someone could look it as a chance to get paid. european laws differ from american law. in europe you can only sue for as much as the actual damages which you have to quanitfy beyond a doubt. but there is much more to it. i did notice that more vloggers are using shallower debt of field and watch what they show, some even blur out subjects. if i take pics of times square everybody knows that there are a lot of camera's. so when your pics get taken there you will have a hard time sueing anyone. atleast in my country. getting your pic take and claiming invasion of privacy at times square is you being stupid. like i said, this new GDPR is a big thing. pro high end camera's not having encryption i see as a problem. GDPR is the European Privacy law per 25 of may 2018. with photography law you are pointing to multiple laws i understand. please explain the differences between European privacy laws for example Switzerland and Germany. take into account the convention of 1948. enlighten me with your wisdom.